Liam Matthews (left) and Darren Smith earned first-team all-state honors. 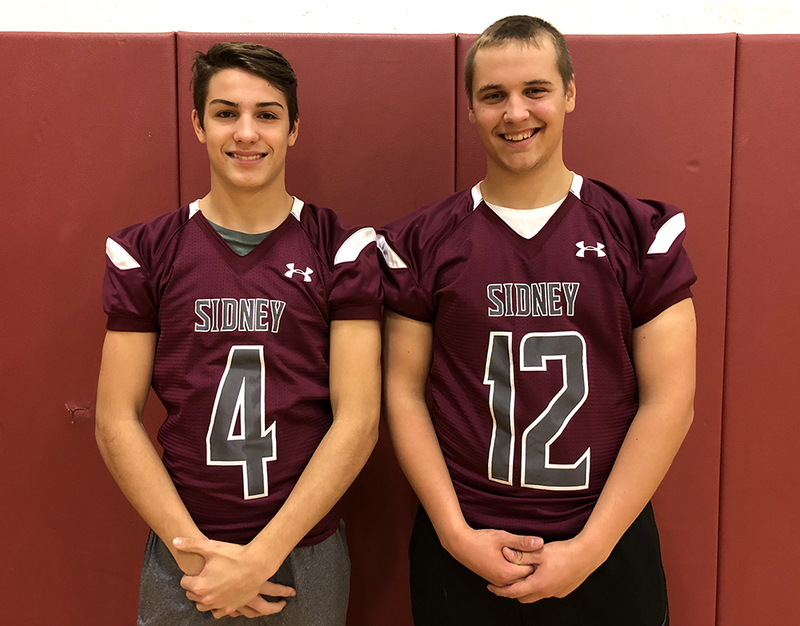 Sidney CSD junior Darren Smith, and sophomore Liam Matthews were named to the New York State Sportswriters Association Class D first team on Wednesday. Smith, a junior quarterback, and Matthews, a sophomore offensive end selection, led a high-powered offense that helped the Warriors reach the Section Four championship game. Sidney finished the season 8-2. Smith completed 156 of 254 passes for 2,766 yards and 30 touchdowns. Matthews was Smith’s top target, making 56 catches for 1,217 yards and 16 touchdowns. To see the full Class D team, please click here.